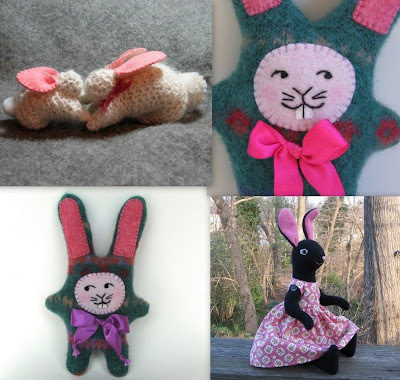 The Fairies Nest - OOAK Cloth Dolls & Fiber Fantasies: For the Love of Bunnies! The black one is absolutely stunning. The pink with the black look great! You have the nicest bunnies. just came across your lovely blog. I have met you before at your Etsy shop. It's really nice to see some more of your work here - I love the bunnies and the stunning snow pics.